Harried Hearing: Does Insurance Cover Hearing Aids? If you suffer from hearing impairment or deafness, hearing aids can help you. However, they can be really expensive. But does insurance cover hearing aids? Read on to find out. It may come as a surprise but hearing loss is not considered a disability in the US. If it were, it would be the nation’s largest disability class. There are more than 37 million people suffering from deafness or hearing health issues. While most private medical insurance plans don’t cover hearing loss aids, it doesn’t hurt to call your insurance provider. 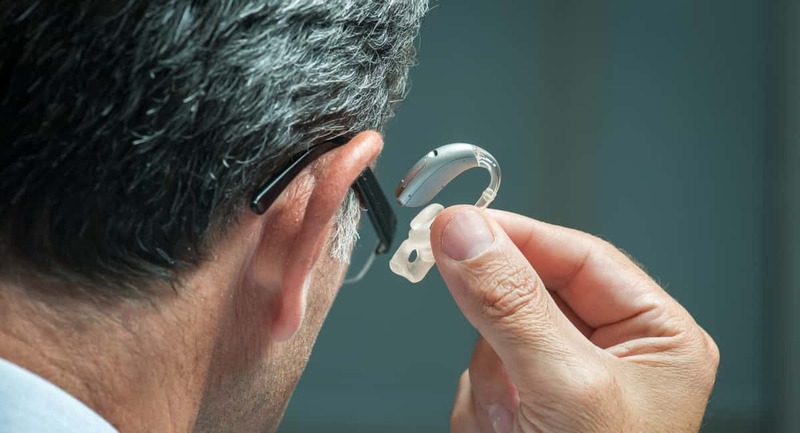 Some insurance providers offer special plans for hearing aids for seniors, while others will offer partial coverage in some cases of complete hearing loss. Partial coverage specifies an amount that you will receive when purchasing a hearing aid. This amount is often a percentage of the total cost, up to a certain point. This benefit renews periodically, allowing you to replace your aids every few years. Keep in mind that you may have to purchase your hearing aids from a medical provider specified by your insurance carrier to qualify for partial coverage. More than 20 states require hearing aid insurance for children. This federal mandate means that insurance companies can’t refuse to insure children with hearing problems. These states include Texas, Georgia, Tennessee, Colorado, Kentucky, Louisiana, Delaware, Missouri, New Jersey, New Mexico, North Carolina, Oklahoma, Oregon, and several others. In all those states, health benefit plans are required by law to pay for hearing aids for children. However, this doesn’t hold true for adults. The Department of Veterans Affairs will cover many hearing impairment cases. Veterans enrolled in VA rank in different eligibility categories based on their disabilities, income, and several other factors. All veterans with service-related hearing impairment are eligible for hearing aid services. Veterans who receive special pension benefits are also eligible for hearing aid insurance. Moreover, if you are treated for another medical condition that might cause hearing loss, VA will cover hearing loss as well. Finally, you may opt to purchase insurance that is specific to hearing aids. This insurance will only cover the cost of your hearing aid in specific circumstances. This might be a good choice for you if you wear your hearing aid most of the time. Does Insurance Cover Hearing Aids? Now You Know! If you liked our article answering the question “does insurance cover hearing aids?” there is more where this came from! Here at FlawlessEnd, we cover a broad range of topics, aiming to empower you with dependable info. Come on in and browse news on beauty and health, fitness tips, travel and business articles, and life hacks. We are here to help you improve your life!